Kiki de Montparnasse's 'Grand Soleil' camisole can be worn with boy shorts at home or styled underneath a chic black blazer for evening events. 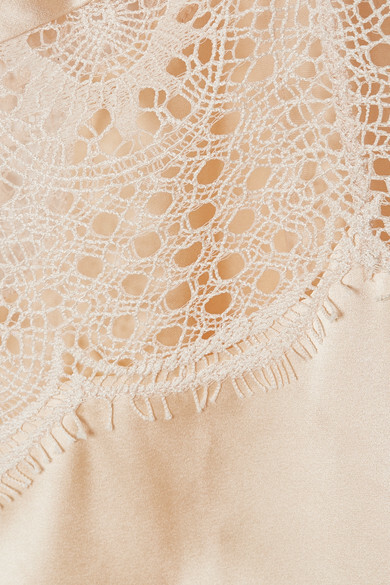 It's cut from fluid silk-satin that skims your body and is spliced with French lace. Adjust the pin-thin shoulder straps to find the perfect fit. Shown here with: Racil Pants, Racil Blazer, Hunting Season Shoulder bag, Giuseppe Zanotti Mules, Alighieri Necklace, Alighieri Necklace.